Looking back at the history of the EDF (Earth Defense Force) games, it’s obvious that the series has been reluctant to dramatically alter its core offering of fast-paced and ridiculously screen-stuffed insect blasting action. And to be fair, it’s easy to see why the series has been so beloved over the years – it provides the sort of gaming high that borders on guilty pleasure territory, not least because the EDF games tend to, shall we say, unashamedly embrace the jank, with dated visuals and presentation. 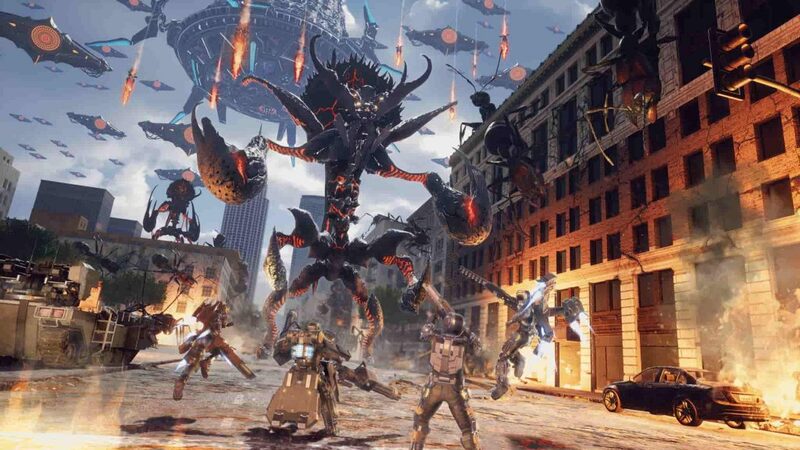 The latest effort in the Earth Defense Force franchise, EDF: Iron Rain marks a departure from longtime series developer Sandlot as instead coding duties have been handed over to Yuke’s, the folks who have been responsible for bringing us the annual entries in the WWE 2K franchise. Now sat securely behind the wheel, Yuke’s has made a number of improvements to the franchise template that are all geared towards making it the finest entry in the series to date. Have they succeeded in this most crucial of endeavours though, given the fact that EDF fans won’t just accept any old tat? Well, yes. Yes they have. Without a doubt the first thing you’ll notice about Iron Rain is just how much better it looks when compared to previous games in the series. 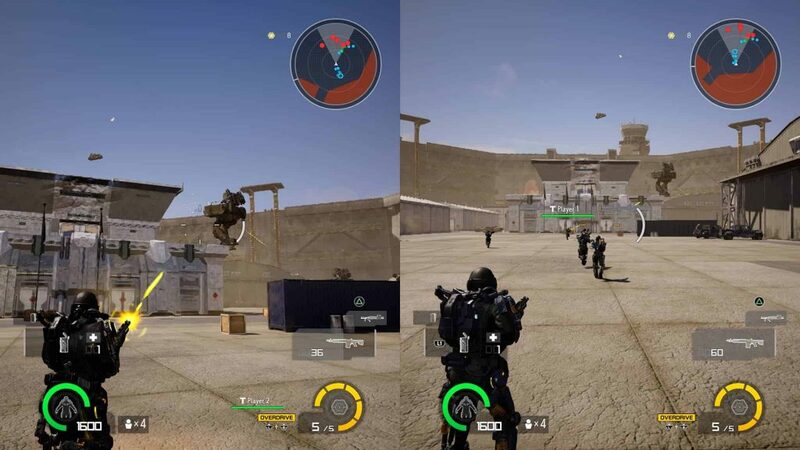 Gone are the flat buildings, limp explosions and other PS2 era visual effects that have long served as one of the chief points of derision (and also endearment, depending on the extent of your series zealotry) for the earlier games, replaced instead by much more detailed enemies and environments. In short, though Iron Rain is still indisputably a game about shooting massive bugs, it somehow feels more mature and less silly than previous entries. Though Iron Rain’s environments now extend far beyond the urban locales that have been in previous games, the newly improved visuals do a great job of making the series cityscapes look better than ever before. Speaking of the environments, one of the most obvious changes that new series custodian Yuke’s has wrought in its debut has been to shift the action away from the previously exclusive stomping grounds of Japan’s metropolis style sprawls, as the battles now take place on a wide range of beaches, forests, deserts and much more besides. Don’t worry though – Iron Rain’s newfound location variety hasn’t meant that the series trademark city settings have been eschewed – quite to the contrary, they’re very much in the game and are much more expansive and densely packed with buildings and detail than ever before. That said, Iron Rain is still not a fantastic looking game by contemporary standards (after all part of the appeal is the jankiness of the whole enterprise), but it is the best looking entry in the series to date, which certainly counts for something. Something else that Yuke’s has brought to Iron Rain is much deeper character customisation. Though you have a great deal of weapons, supplies and gadgets that you can buy before each battle (which is something we’ll get onto in a bit), you can also go pretty in-depth with tweaking the look of your character now too, adjusting everything from their physical stature, to their eye colour, hair colour and uniform. As such, it would seem that Yuke’s experience in crafting extensive customisation options in its WWE 2K games has certainly been employed here. For all the improvements though, Iron Rain’s developer must know that it cannot alter the formula too drastically lest it risk alienating the core fanbase that has for years kept the series going. Reassuringly, Yuke’s knows this – it knows the tremendously loyal fan base that has been built up around the EDF games which will scrutinise every change, big and small, and being equipped with that knowledge, it has been careful not to alter the fundamentals but instead give the series its most polished and arguably challenging entry to date. More than ever before the newfound relentlessly aggressive AI that Iron Rain possesses means that players must have the right loadout before heading out. Despite ‘just’ being a wave-based shooter about blasting massive bugs until none remain, Yuke’s have spiced up proceedings by making the enemies that you tangle with a much more vicious and aggressive bunch than they ever were before. No longer content to just mill around and wait for you to give them a thorough kicking, the numerous different types of bugs you’ll fight against which range from massive ants, to city-sized mecha-bug kaiju, will all seek you out immediately and will have no qualms in overwhelming you in short order. Because of this, Iron Rain more so than any other entry in the series, pressures players to make the most out of their loadouts, deploying devastating grenades, mines, turrets and vehicles in order to stymie the advance of the enemy forces. Also, you can expect to find yourself fighting other foes besides just bugs too, as rival outlaw factions with powerful mechs will occasionally insert themselves into your business, forcing you to deal with their high-tech weaponry which in turn presents a threat completely different from what the bugs can typically throw at you. Elsewhere, the fact that Iron Rain’s missions tend to last between just five and ten minutes on average makes it a supremely easy game to play, as rushed for time players are able to cram in a few cheeky missions without having to invest massive amounts of time in order to get things done. Like most things in life, Iron Rain is best enjoyed with a friend – so long as the yo-yoing framerate doesn’t put you off. The whole thing is made better if you can get a friend to tag along too – Iron Rain’s split-screen co-operative shenanigans allows two players to team up and take on the entirety of its bug-mashing campaign in some of the most fun you can have with another human being. The principal drawback here though is that the frame rate can absolutely plummet during busy, screen-stuffed scenes – something which is far less of an issue if you get stuck into Iron Rain’s insanely fun four player, co-operative online play. Though the series has seemingly prided itself on its janky appearance and cheesy B-movie dialogue, and in this respect Iron Rain is certainly no different, the fact that the wildly fluctuating framerates remain an issue even in single-player, is a point of concern and one which exists as Iron Rain’s sole major problem. Here’s hoping a patch can smooth these issues out (pun intended). EDF: Iron Rain is effectively the Starship Troopers concept taken to its most outrageous extreme, and in Yuke’s, the series has found a capable custodian to say the least. The new improvements serve to embellish the absurd spectacle of alien carnage that has long been the cornerstone of the EDF franchise and the immensely satisfying bug blasting action that has been beating heart of the series is in wonderfully rude form here. 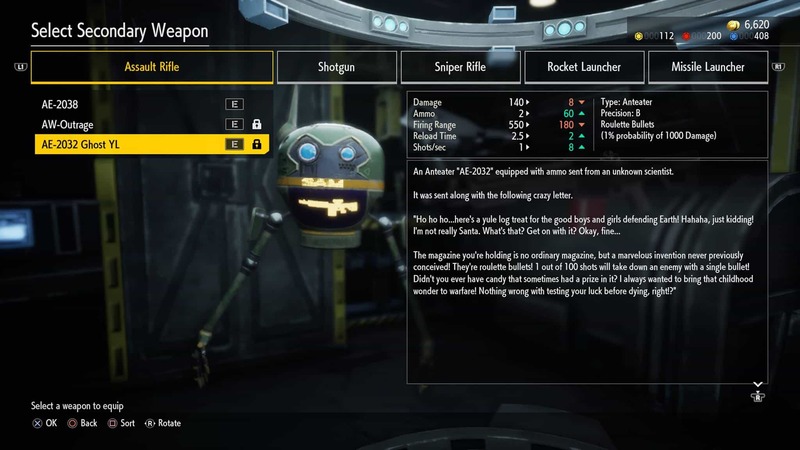 It’s quite simple really – if the notion of killing oversized bugs with an escalating succession of powerful bang-bang is your idea of fun, then EDF: Iron Rain is, like many of the previous games in the series, a total no-brainer purchase. Though the yo-yoing framerate is a sticking point, Iron Rain remains a commendably great wave shooter and one that does justice to the series; so long as those previously unexposed to its charms know to take its jank and highly entertaining bug blasting beats as a package deal. 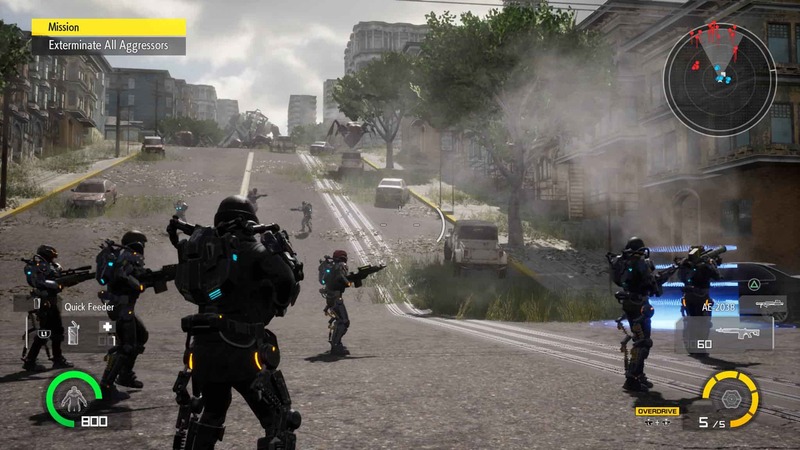 Published by D3 Publisher and developed by YUKE’S, Earth Defense Force: Iron Rain releases on April 11, 2019 for PS4. Helpful review, though the online co-op is 4-player, not six. Ah yes – all corrected. Thanks!